EverBlock® manufactures a complete line of modular flooring systems to meet your various needs. From dance floors, to tent flooring and from stadium turf protection systems to exhibit flooring, EverBlock has an interlocking flooring system for your specific application. Hotels, tent and event companies, stadiums, arenas, exhibit builders, and residential and corporate users all utilize EverBlock Flooring to meet their flooring needs and requirements. 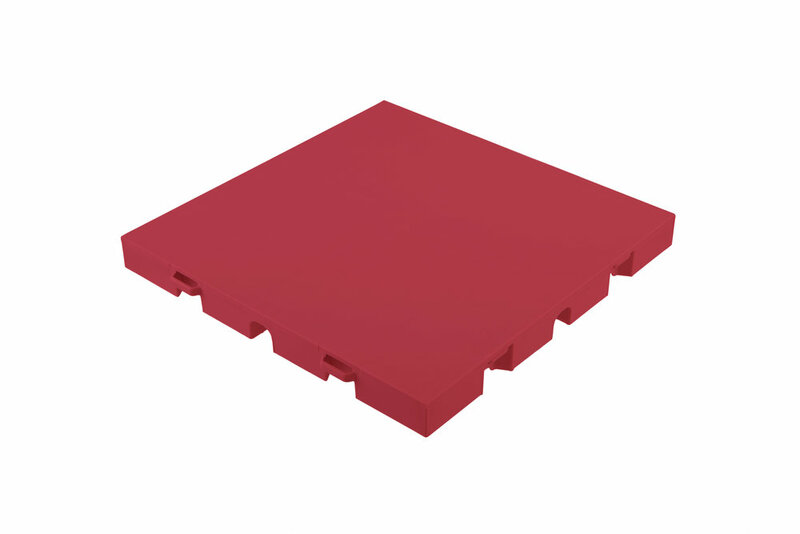 EverBlock also offers a line of durable industrial access mats, that provide a safe support base to allow access for vehicles and equipment over soft ground surfaces. From access for trucks to protection of sensitive lawn and sports turf surfaces at events, EverRoad ground protection matting meets the needs of all types of businesses and facilities. Each EverBlock floor version contains unique features specific to its application, yet the modules work together and can interconnect, providing the ultimate in flexibility. For example, our dance floors will fully connect to a surrounding tent floor to create a seamless overall look for your event. Our wood finish modules work with our solid colored floors, enabling you to create a fantastic game court that mimics the look of professional arena floors. EverBlock incorporates the latest technology in modular flooring design and incorporates the latest aesthetic trends, the most advanced connection system technology, and a focus on structural strength. 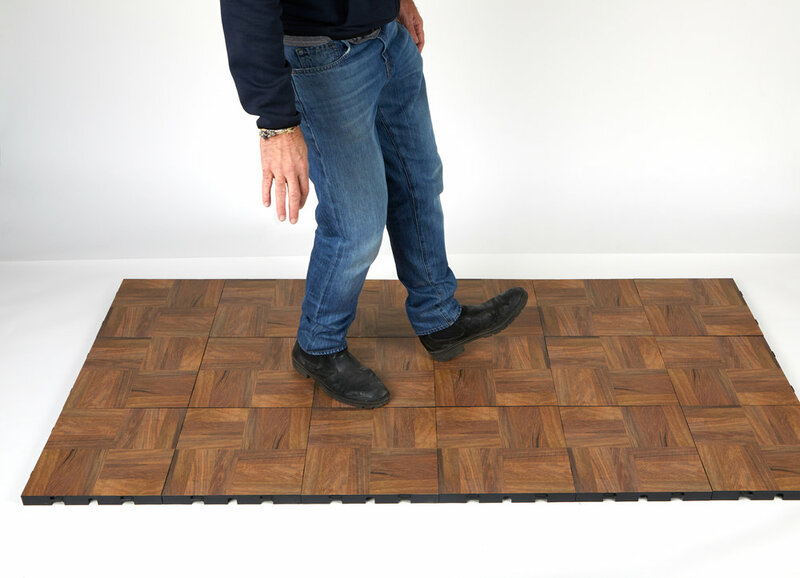 EverBlock Flooring was designed by one of the pioneers in modular flooring systems, Arnon Rosan, who has had over 25 years of experience designing, manufacturing, and installing millions of square feet of modular flooring throughout the world. All EverBlock Flooring interconnects using EverBlock’s propriety quick-connect locking system, providing incredible durability, while being easy to connect and disconnect. Simply slide sections into position and step down on tiles to connect. To disconnect simply tip sections upwards, disconnecting the specialized locking tab and disconnecting the section. Every EverBlock Flooring version is manufactured in a high-impact Polypropylene co-polymer that contains UV inhibitors for outdoor protection in direct sunlight and is chemical resistant and easy to clean. All of our flooring is completely waterproof, including wood finish dance and event floors. Our modular flooring systems can support tremendous weights and can handle the traffic of large scale events and gatherings. Only EverBlock Flooring can be elevated on EverBlock structural building blocks to create a beautiful, durable stage for your events. From seating risers to choir risers and from catwalks to stages at schools, hotels, municipalities and event venues, EverBlock Flooring offers the ultimate in size, height, and color flexibility, allowing you to create dramatic raised platforms. Simply build a sub-structure using EverBlock building blocks, and nest EverBlock flooring on top, locking it solidly to the structure below. Match team colors, architectural elements, and event color schemes in ways previously impossible using traditional staging options. Alternate and stagger colors to create dramatic effects and reconfigure again and again as you needs change. Run power and networking cables under your floor. Each flooring tile has integrated cable channels to hide any wiring throughout the entire floor. 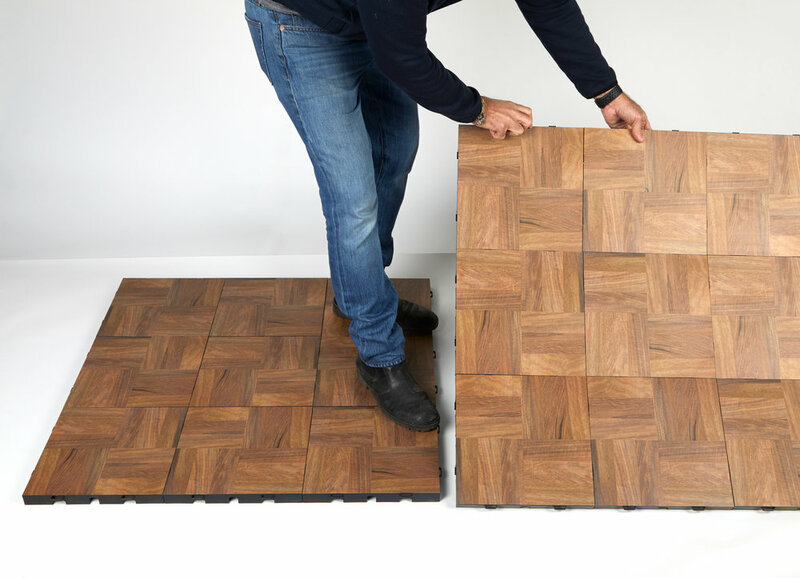 EverBlock Flooring transports in pre-assembled 3ft x 3ft or 3ft x 4ft sections, depending on your preferred size. These section sizes are ideal for fast installation and removal as they can be handled by one person comfortably. 66 pre-assembled sections can be loaded on a standard pallet, allowing for 594 to 792 square feet to be transported on a single pallet. EverBlock flooring is water proof, allowing it to be use in humid, wet, and damp areas such as basements, in the rain, and more. The wood finish on EverDance will not warp, rot, crack, or delaminate due to exposure to water. EverBlock Flooring is completely re-useable. When your event or function is over or when you are moving or need to reconfigure your space, simply disconnect EverBlock tiles and transport to the next location. It is a highly profitable rental item as well, allowing party and tent rental companies re-coupe their investment in only 3-4 rentals.